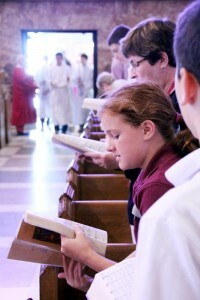 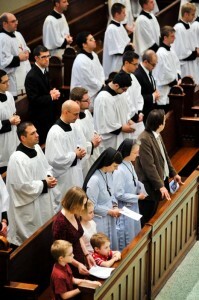 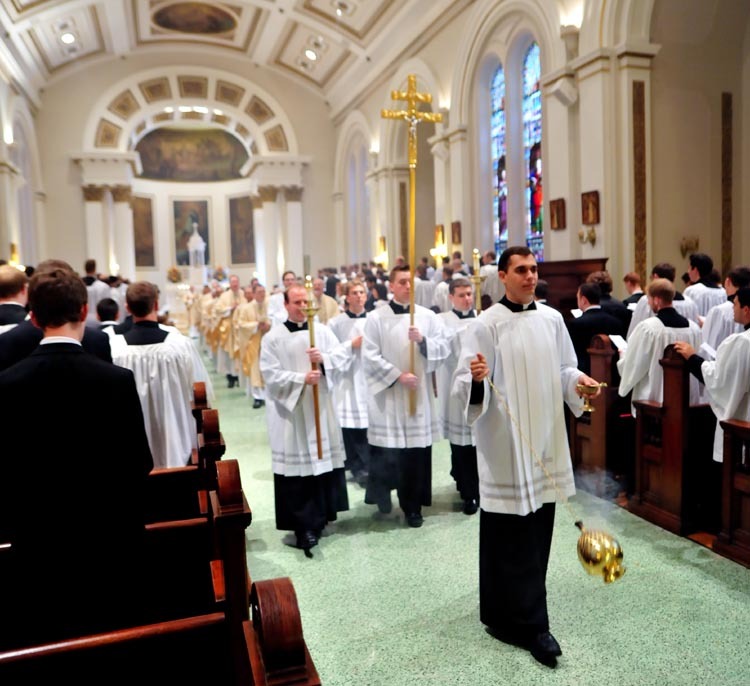 The 2013-2014 school year began in many ways throughout the Archdiocese of Philadelphia. 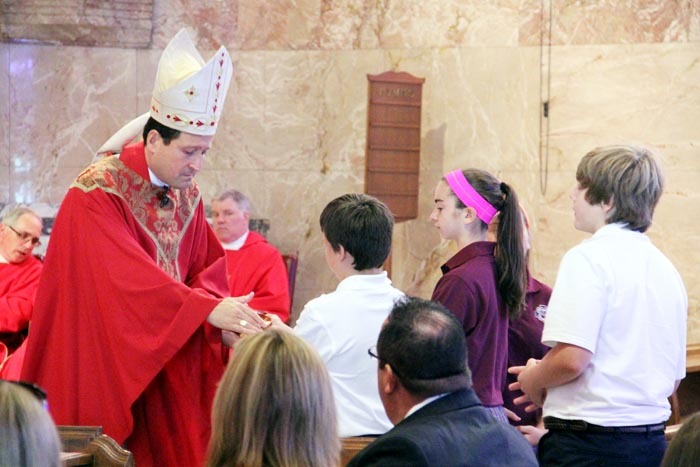 The year started off with Mass Sept. 6 at Cardinal John Foley Regional School in Havertown and St. Charles Seminary in Wynnewood. Watch a video of the events here. 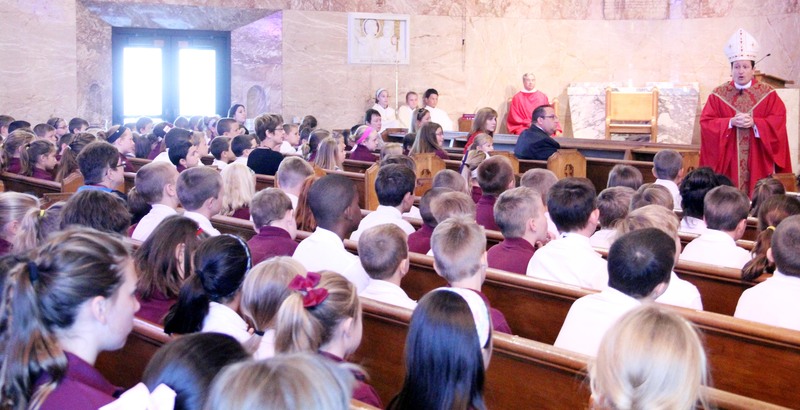 Students from Cardinal John Foley Regional Catholic School start off the school year with mass celebrated by Bishop John McIntyre. 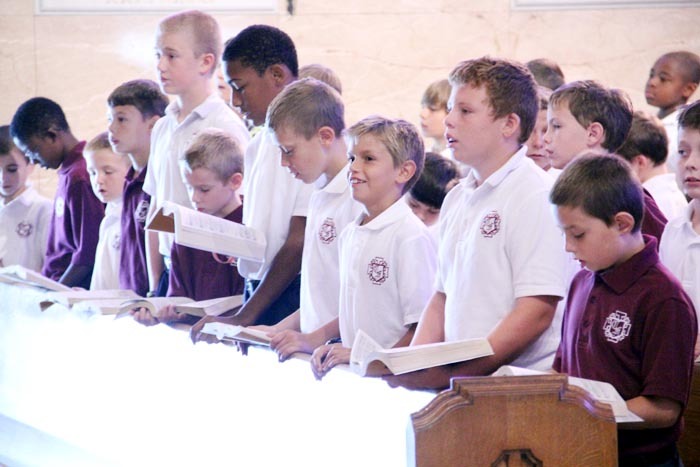 The 2013-2014 school year marks Cardinal John Foley Regional Catholic School’s second year as a regional school formed by the merger of Saint Denis and Annunciation B.V.M. schools in Havertown (Delaware County) in 2012. They began the school year with a mass celebrated by Bishop John McIntyre. 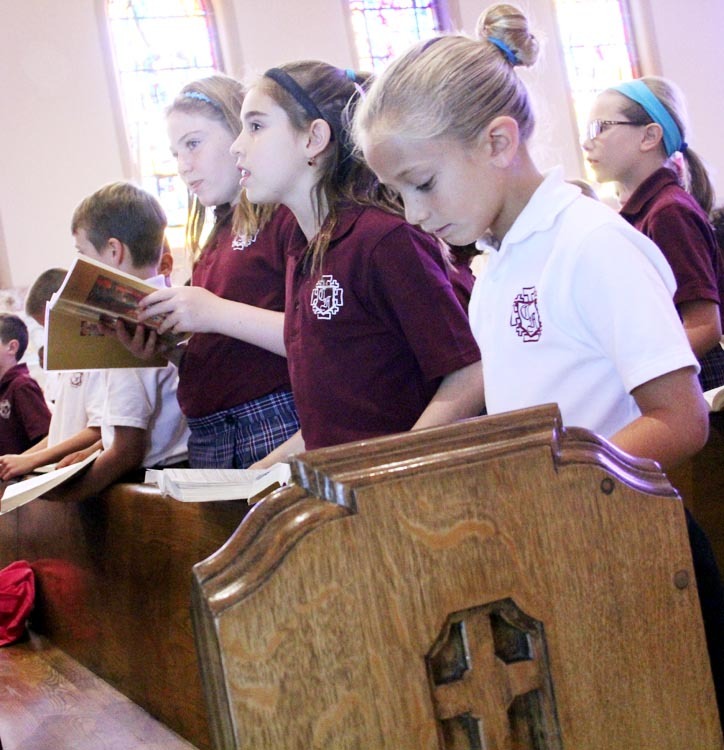 The 2013-2014 school year marks Cardinal John Foley Regional Catholic School’s second year as a regional school formed by the merger of Saint Denis and Annunciation B.V.M. 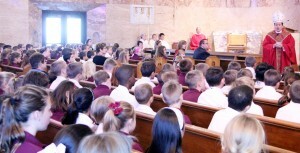 schools in Havertown (Delaware County) in 2012. 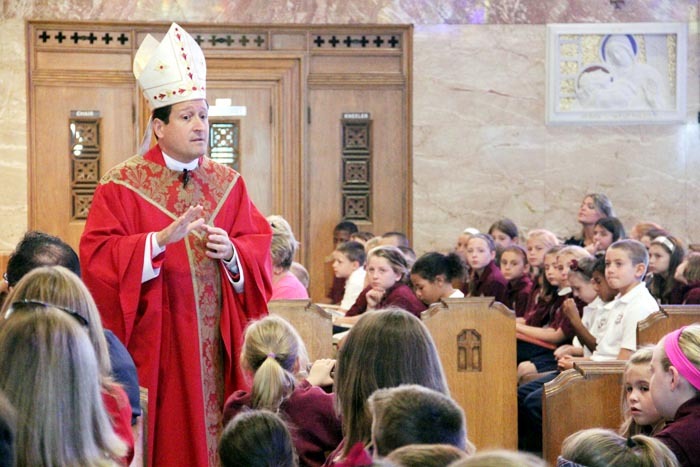 Bishop John McIntyre was the celebrant and homilist at the opening school Mass for Cardinal John Foley Regional Catholic School. Bishop John McIntyre, who was the celebrant and homilist at the opening school Mass for Cardinal John Foley Regional Catholic School, recives the gifts from students during mass. 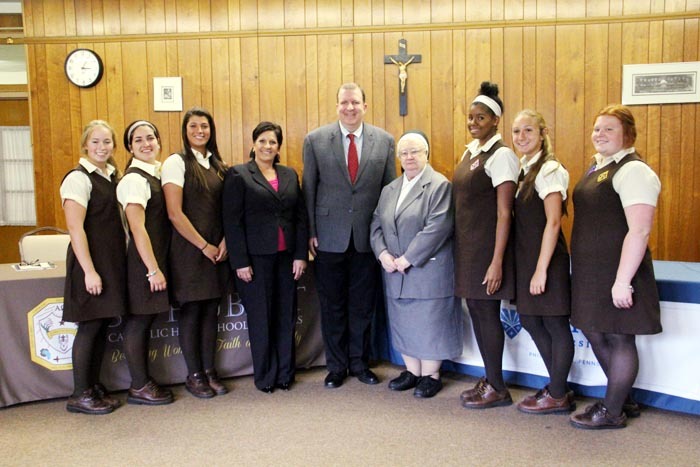 Administrators from Saint Hubert Catholic High School for Girls were joined by officials from the Office of Catholic Education and Holy Family University to sign an agreement that enters both schools into a collaborative educational partnership. 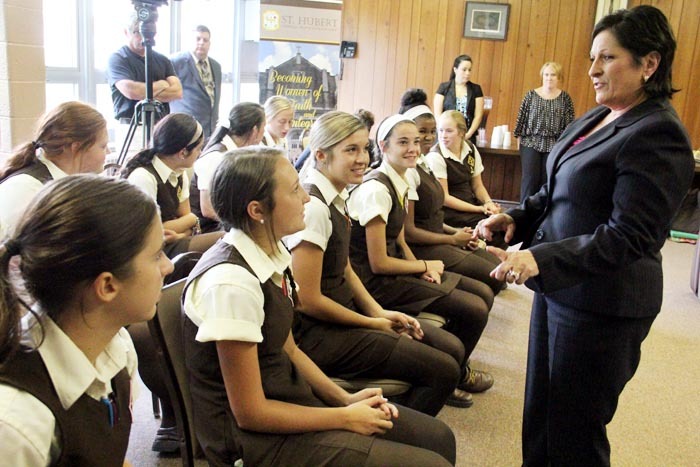 Dr. Carol Cary, superintendent for secondary schools, greets students at St Hubert Chatholic High School for Girls. 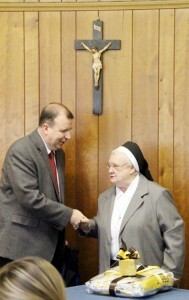 Dr. Cary was there to sign and agreement between the school and Holy Family University. 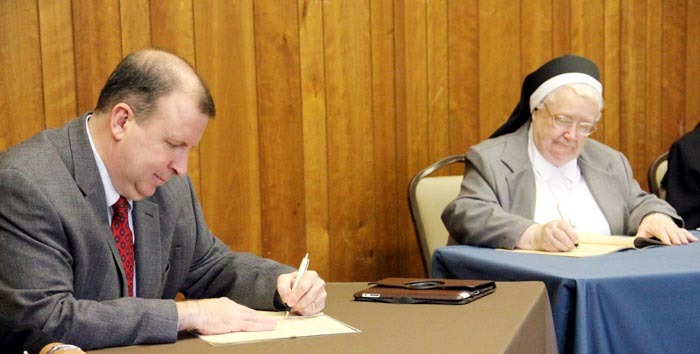 Mr. Francis Farrell, President of Saint Hubert High School, and Sister Francesca Onley, CSFN, Ph.D., President of Holy Family University sign an agreement that enters both schools into a collaborative educational partnership. 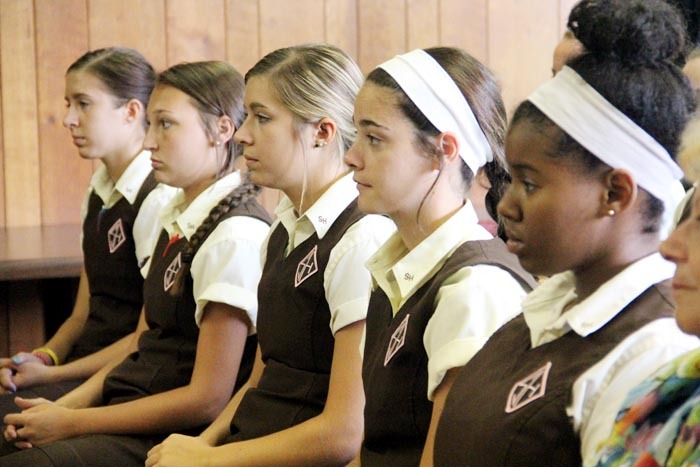 The agreement consists of three components, including admissions and scholarship, a university and dual credit agreement, and continuing education opportunities. 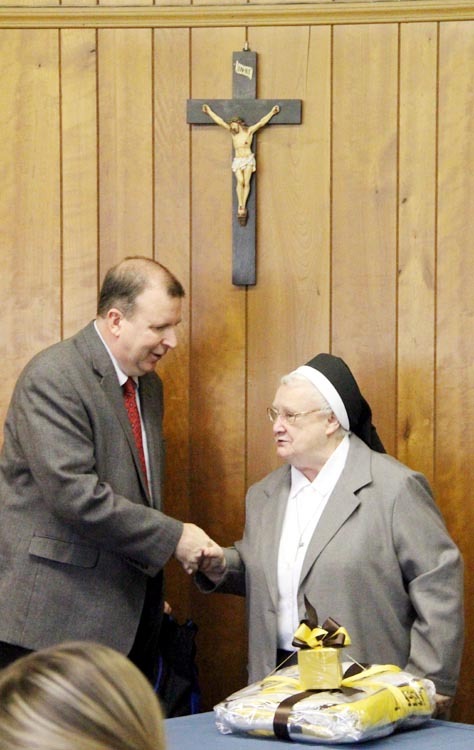 Mr. Francis Farrell, President of Saint Hubert High School, and Sister Francesca Onley, CSFN, Ph.D., President of Holy Family University shake hands after signing an agreement that enters both schools into a collaborative educational partnership. 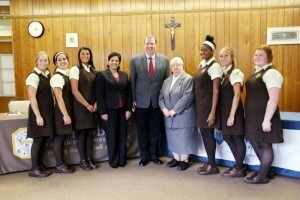 Students from Saint Hubert Catholic High School for girls pose for a picture with Dr. Carol Cary, Superintendent for Secondary Schools, Mr. Francis Farrell, President of Saint Hubert High School, and Sister Francesca Onley, CSFN, Ph.D., President of Holy Family University after they signed an agreement that enters both schools into a collaborative educational partnership. 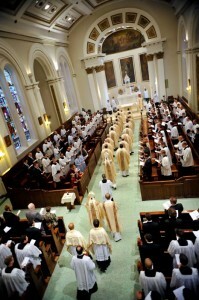 Saint Charles Borrmeo Seminary starts the school year off with mass. 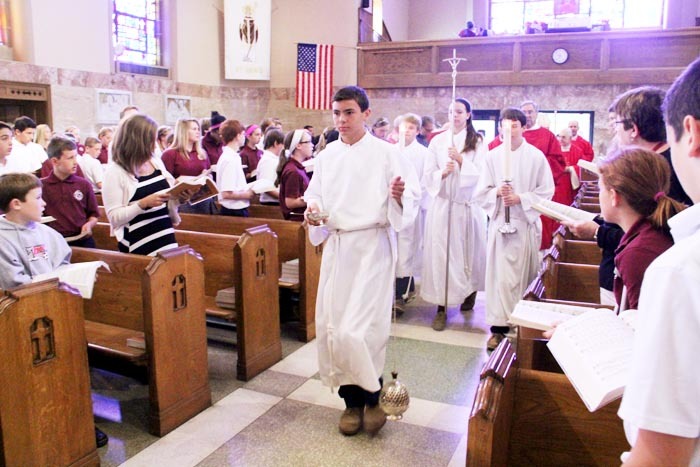 Archbishop Charles Chaput celebrated mass for Saint Charles Seminary to start of the 2013-2014 school year. 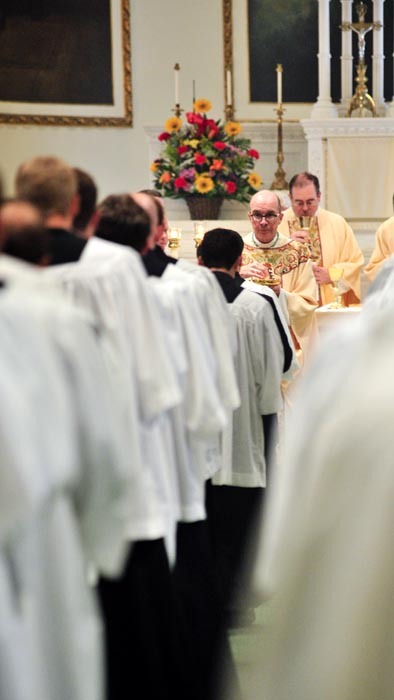 Bishop Timothy Senior, rector of Saint Charles Seminary, gives communion to the seminarians as they begin the new school year.